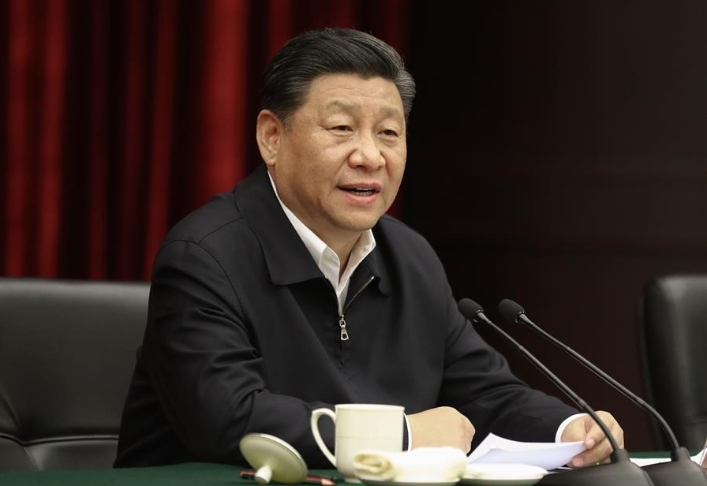 Chinese President Xi Jinping, also general secretary of the Communist Party of China Central Committee and chairman of the Central Military Commission, presides over a symposium about solving prominent problems including meeting the basic needs of food and clothing and guaranteeing compulsory education, basic medical care and housing in southwest China's Chongqing, April 16, 2019. 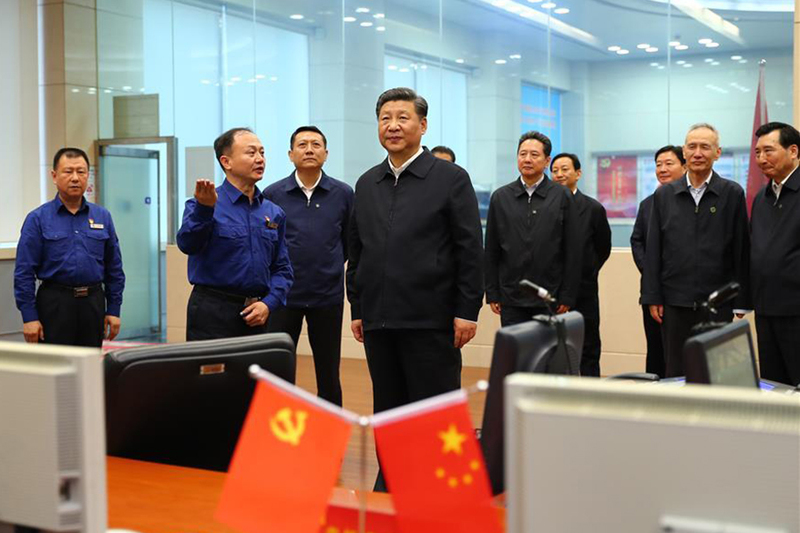 Chinese President Xi Jinping listens to the introduction of the general plan, policy system and construction of the Xiongan New Area at the Xiongan citizen service center during his inspection in the Xiongan New Area, north China's Hebei Province, Jan. 16, 2019. 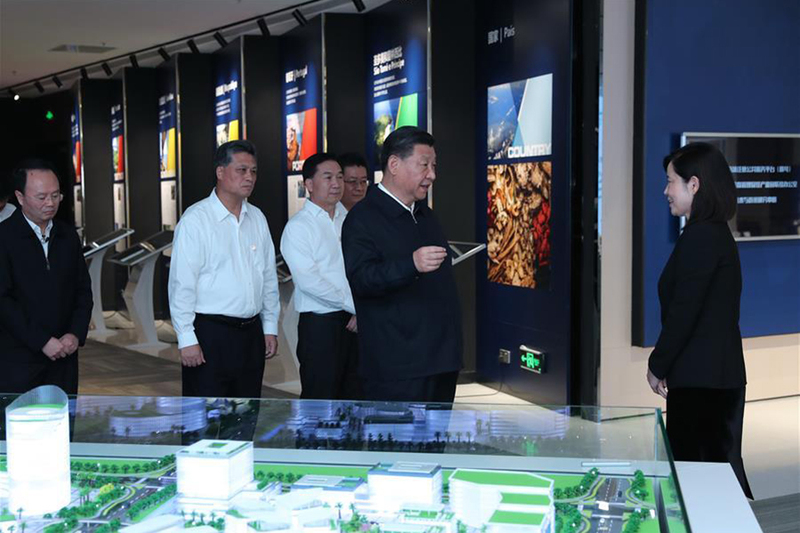 Xi was on an inspection tour in Tianjin Thursday. 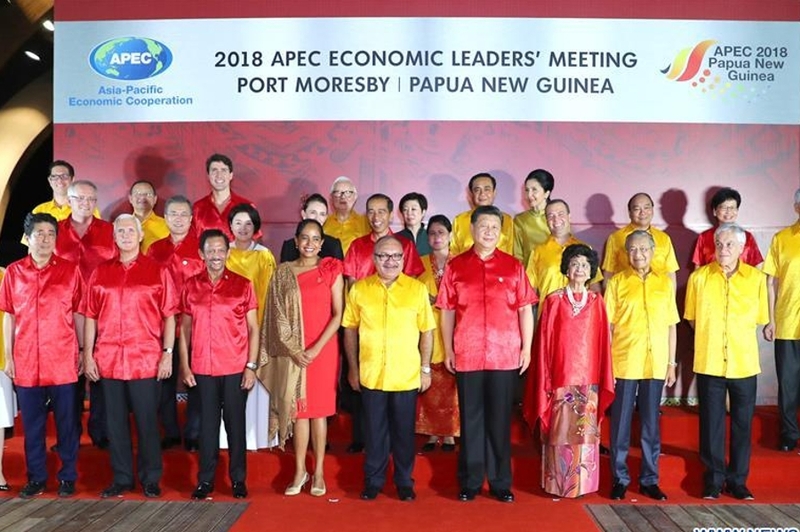 Chinese President Xi Jinping poses for a group photo before a banquet held for leaders and representatives attending the 26th APEC Economic Leaders' Meeting and their spouses in Port Moresby, Papua New Guinea, on Nov. 17, 2018. 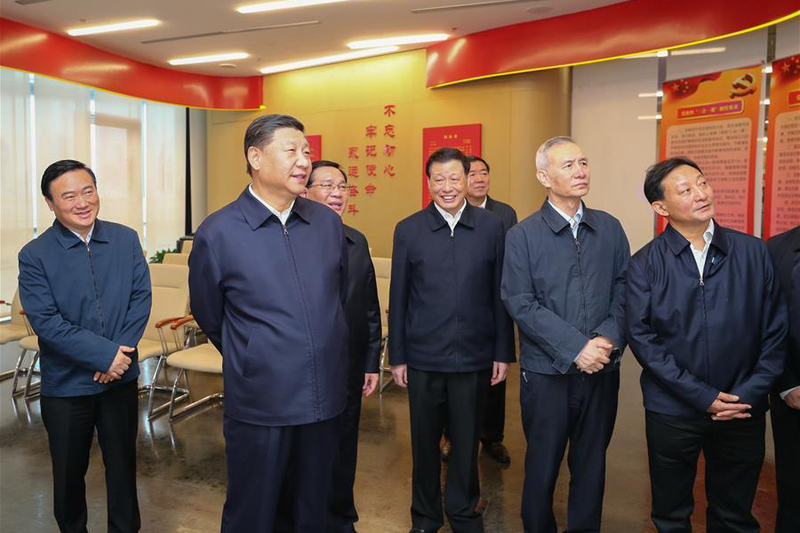 Xi Jinping, general secretary of the Communist Party of China (CPC) Central Committee, Chinese president and chairman of the Central Military Commission, inspected Shanghai on Tuesday. 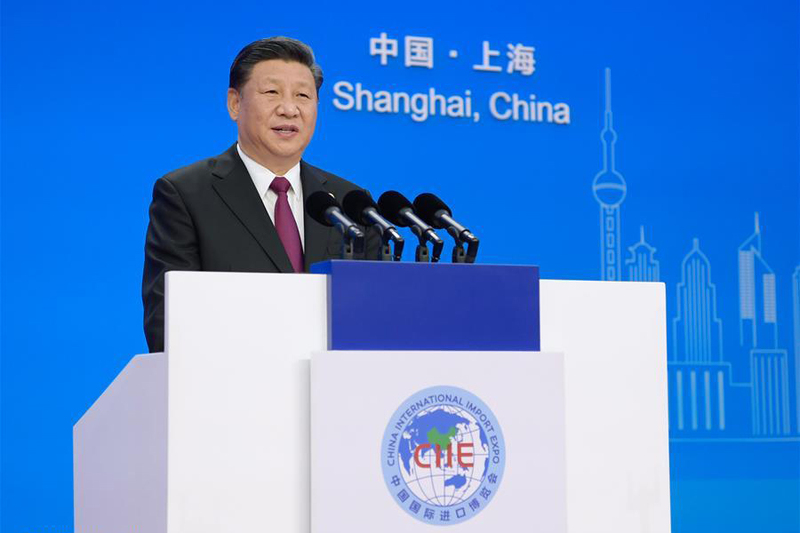 Chinese President Xi Jinping attended the first China International Import Expo in Shanghai on Monday. 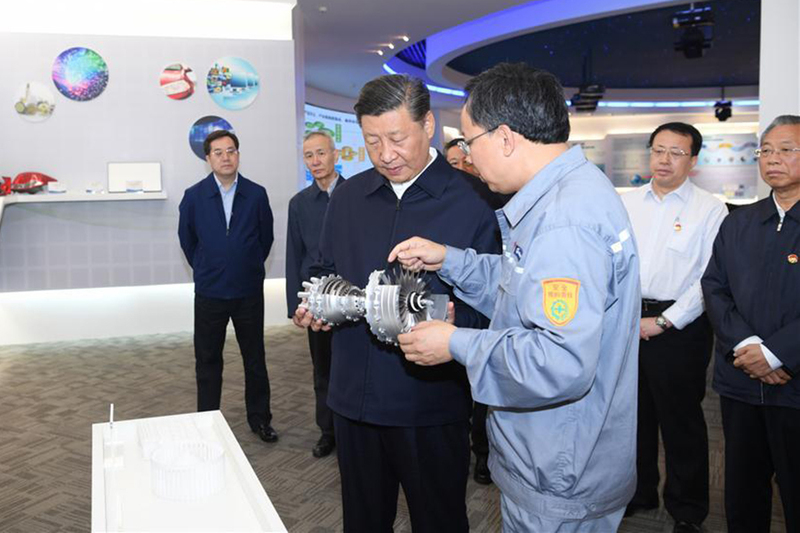 Chinese President Xi Jinping on Wednesday made an nspection tour in Guangzhou, capital of south China's Guangdong Province. 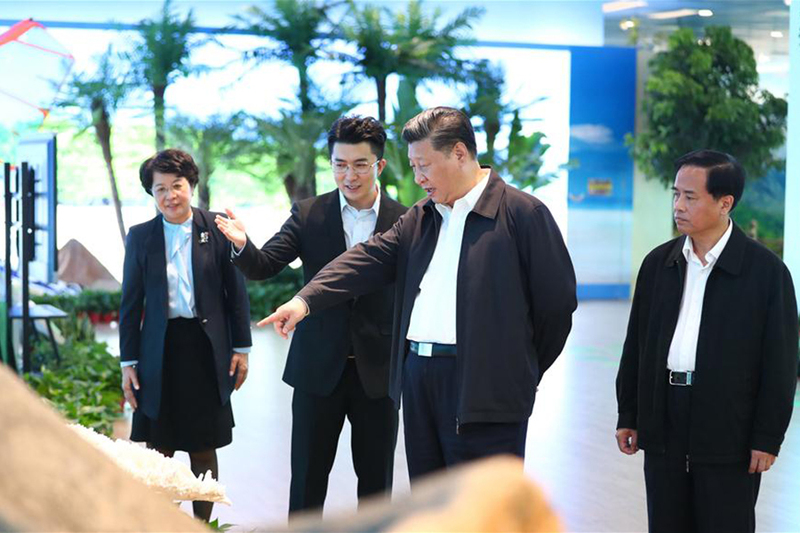 Chinese President Xi Jinping on Wednesday made an inspection tour in Shenzhen, south China's Guangdong Province. 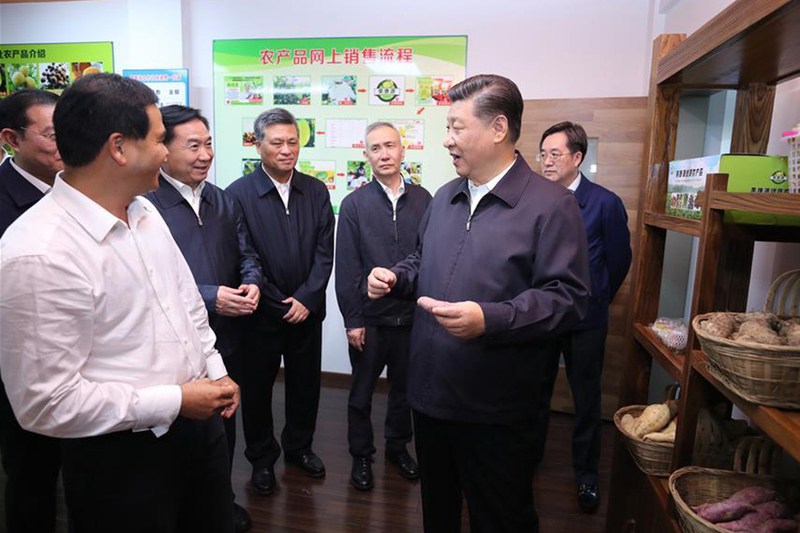 Chinese President Xi Jinping on Tuesday made an inspection tour in Qingyuan City, south China's Guangdong Province. 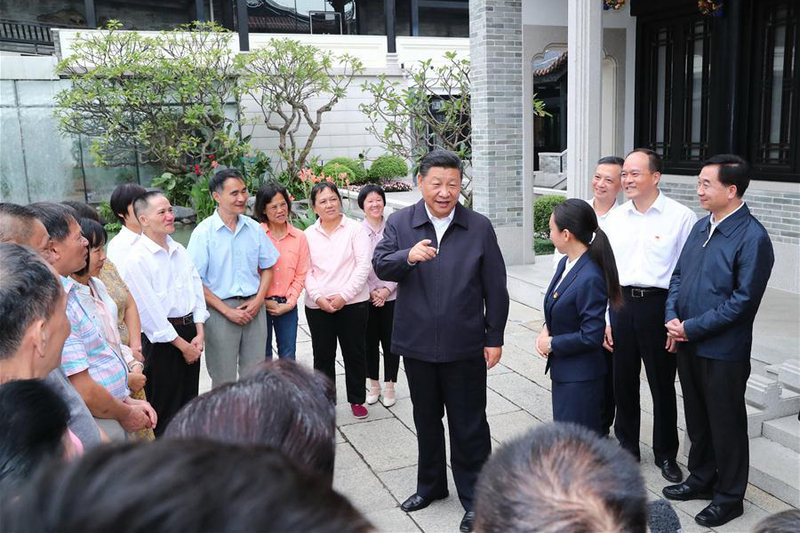 Chinese President Xi Jinping, also general secretary of the Communist Party of China Central Committee and chairman of the Central Military Commission, made an inspection tour in Zhuhai on Monday. Tea is a symbol of Chinese culture and hospitality. 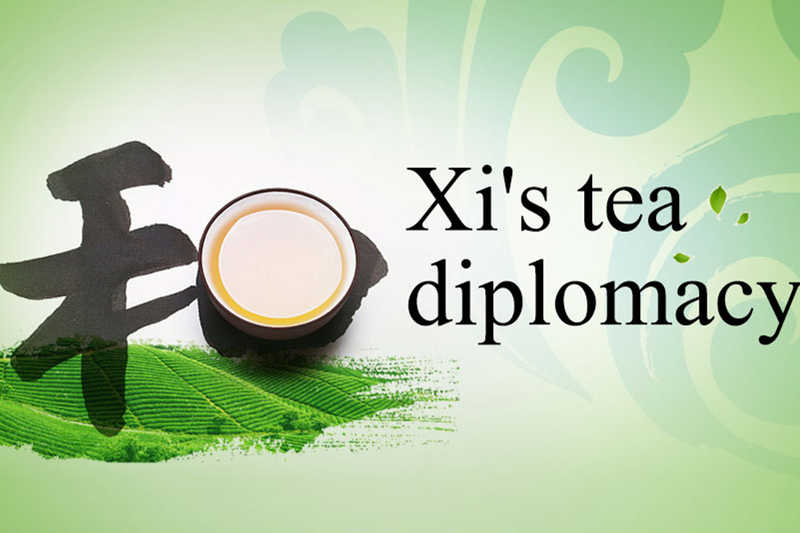 It has been used by President Xi Jinping on many diplomatic occasions. 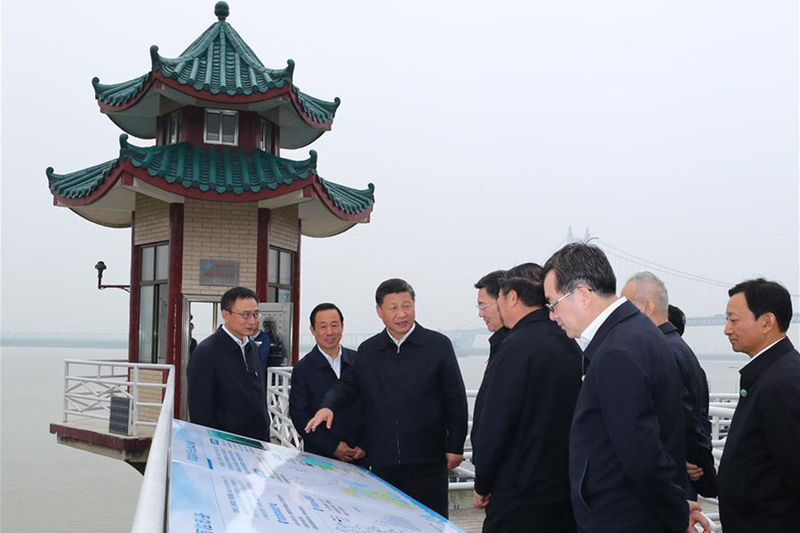 Chinese President Xi Jinping paid an inspection tour to Qingdao, east China's Shandong Province, on June 12. 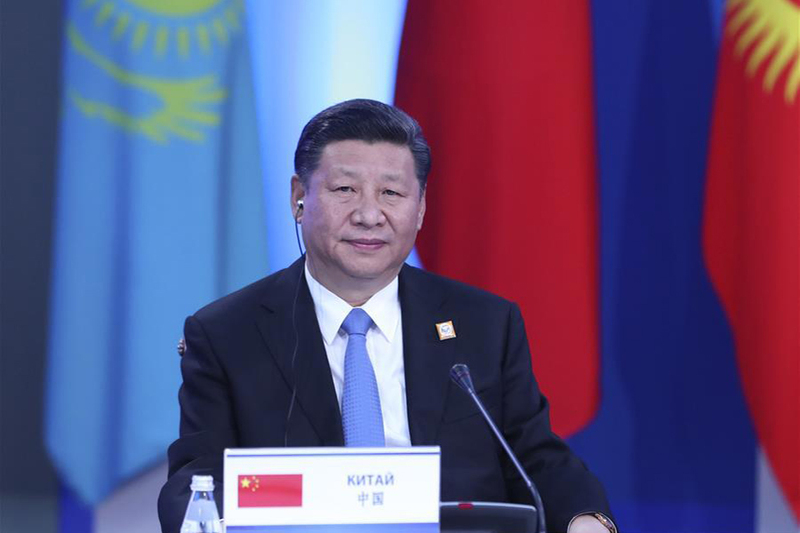 Let's take a look at what Chinese President Xi Jinping has highlighted at past SCO summits. 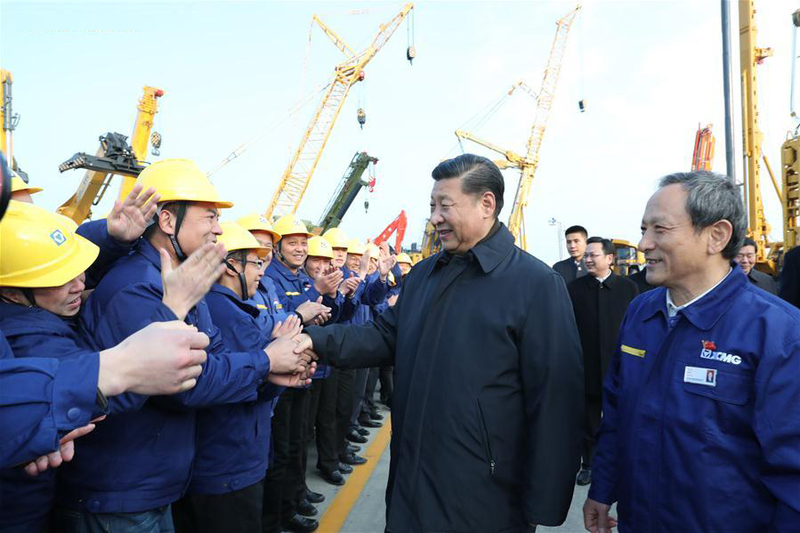 Chinese President Xi Jinping inspected the Hualong Wharf on the Yangtze River for the ecological environment protection and economic development along China's longest river, in Hunan Province on April 25. 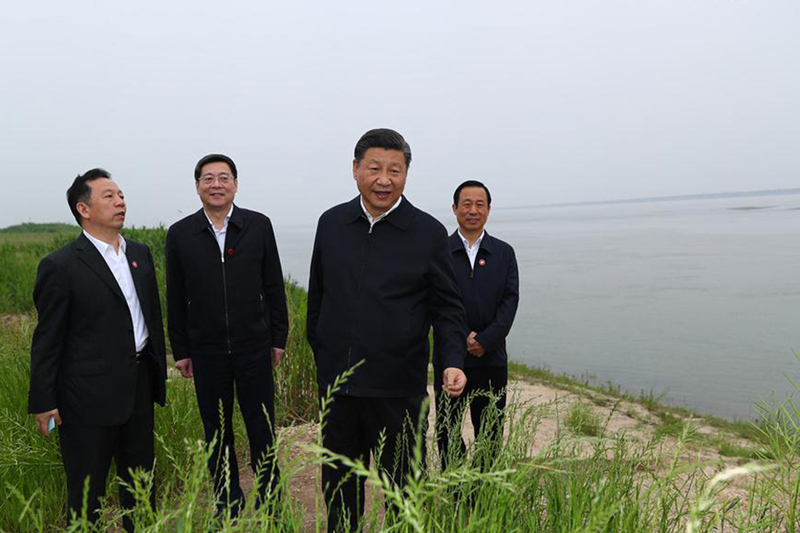 Chinese President Xi Jinping on Wednesday inspected the Chenglingji Hydrological Station for the ecological environment protection and economic development along the Yangtze River, in Hunan Province. 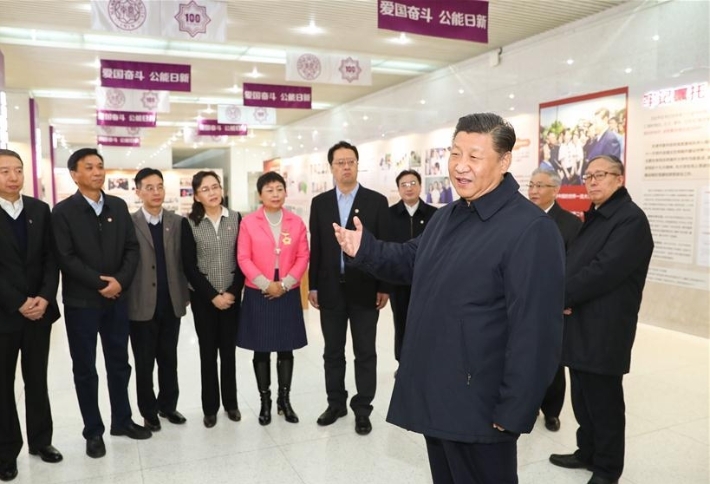 Chinese President Xi Jinping, also general secretary of the Communist Party of China Central Committee and chairman of the Central Military Commission, made an inspection tour in Sichuan province on Feb. 12. 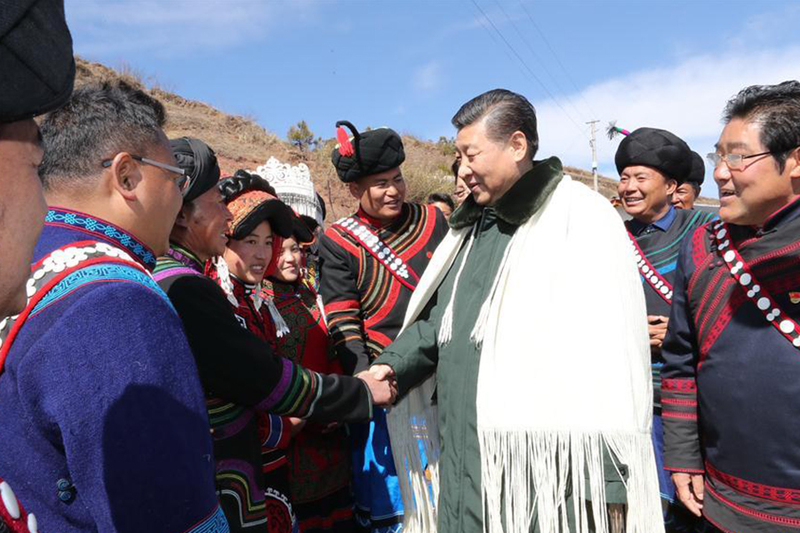 Chinese President Xi Jinping on Sunday visited the homes of impoverished villagers of the Yi ethnic group who live deep in the Daliang Mountains of Zhaojue County, Sichuan Province in southwest China. 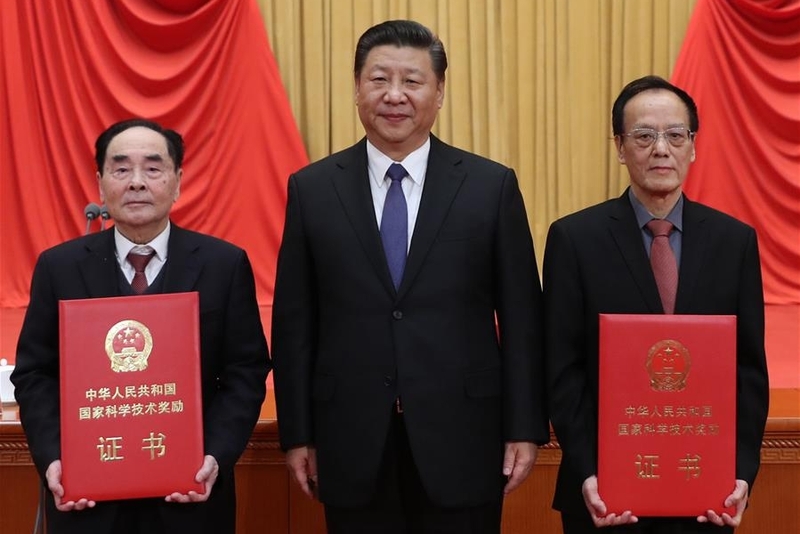 Two Chinese scientists, explosives expert Wang Zeshan and virologist Hou Yunde, won China's top science award Monday for their outstanding contributions to scientific and technological innovation. 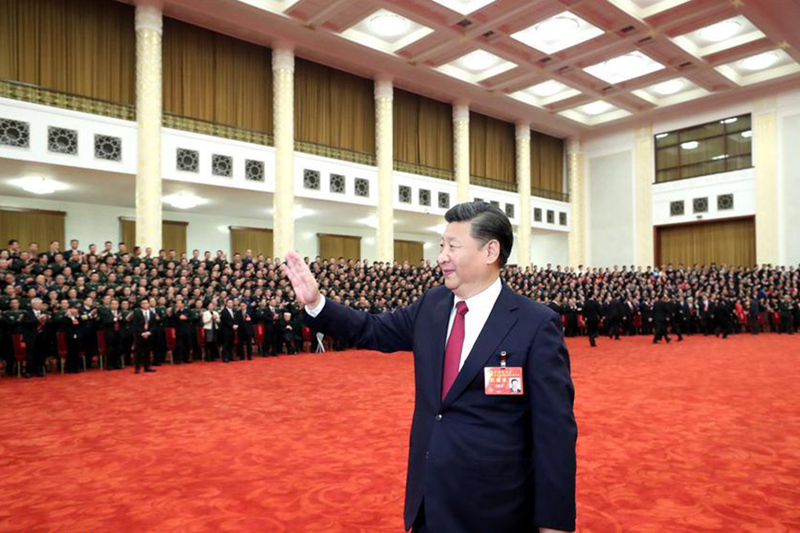 ​President Xi Jinping delivered his New Year address in his office on Sunday through a video. 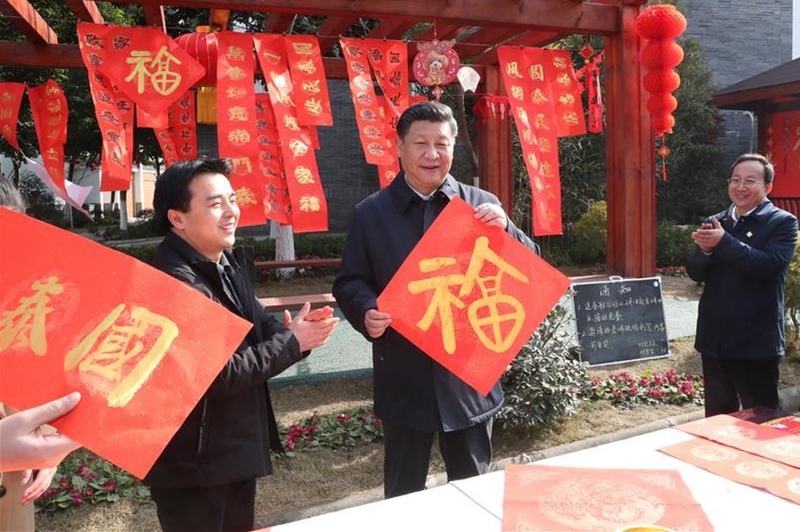 If you watch carefully, you will find that some photos seen on Xi's bookshelves appear for the first time this year. Here's a look at the new and old photos in his office. 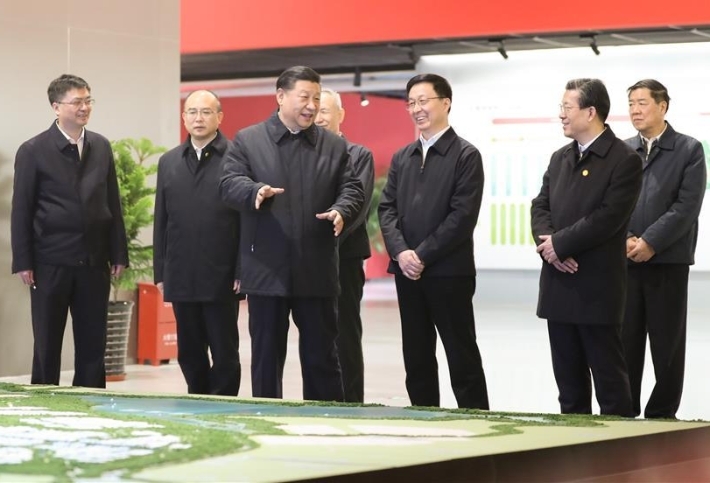 Chinese President Xi Jinping had an inspection tour in Xuzhou, east China's Jiangsu Province, on Dec. 12. 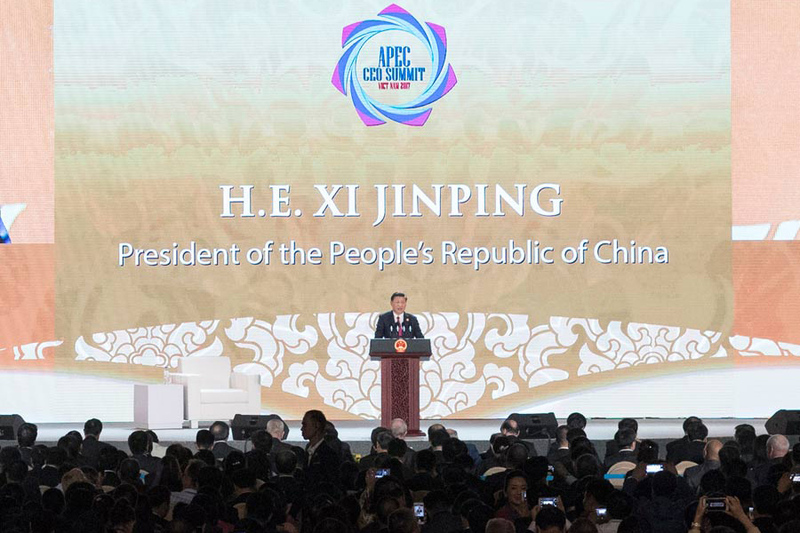 Xi Jinping, general secretary of the CPC Central Committee, delivered a speech at the opening ceremony of CPC in Dialogue with World Political Parties High-Level Meeting in Beijing on Dec. 1. 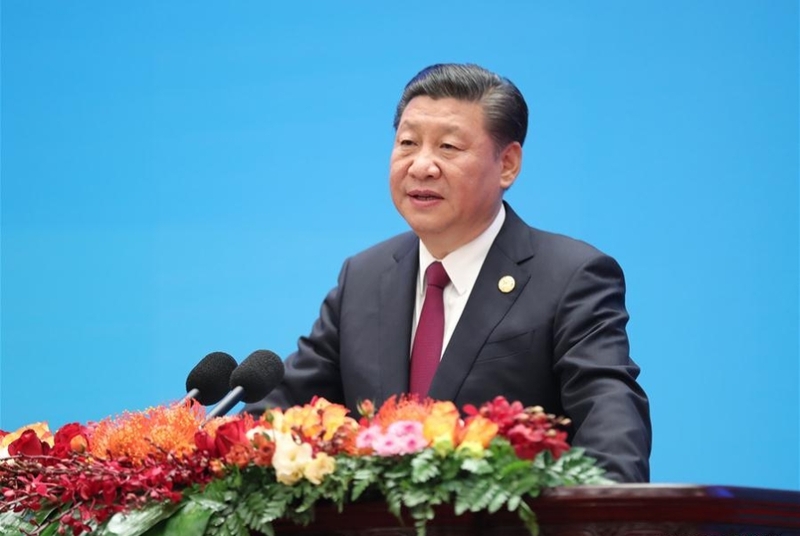 Chinese President Xi Jinping has led socialism with Chinese characteristics to a new era, a new era for entire humanity, as we stand together at the crossroads of new development paths. 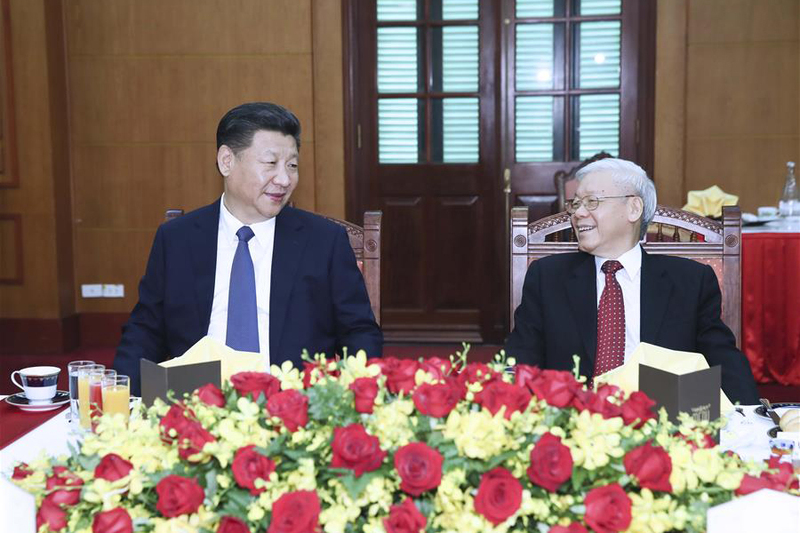 Visiting Chinese President Xi Jinping said in Hanoi on Monday that the party-to-party and state-to-state relations between China and Vietnam are solid. 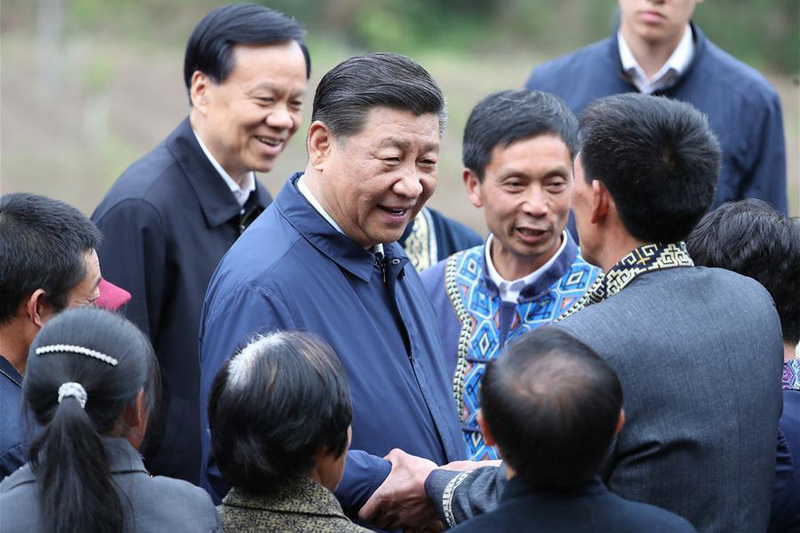 President Xi attended the 25th APEC meetings in Vietnam from Nov. 10 to 11, during which he was busy delivering speeches, attending dialogues and meeting foreign leaders. The trip, which will also take him to Laos, will end on Nov. 14. 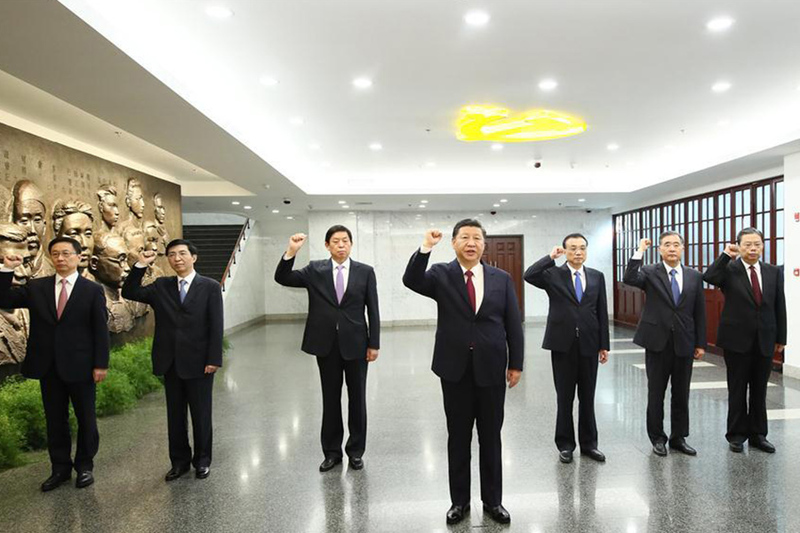 On Tuesday morning, General Secretary Xi Jinping led the other six members of the Standing Committee of the Political Bureau of the 19th CPC Central Committee to the sites where the first CPC National Congress was held. 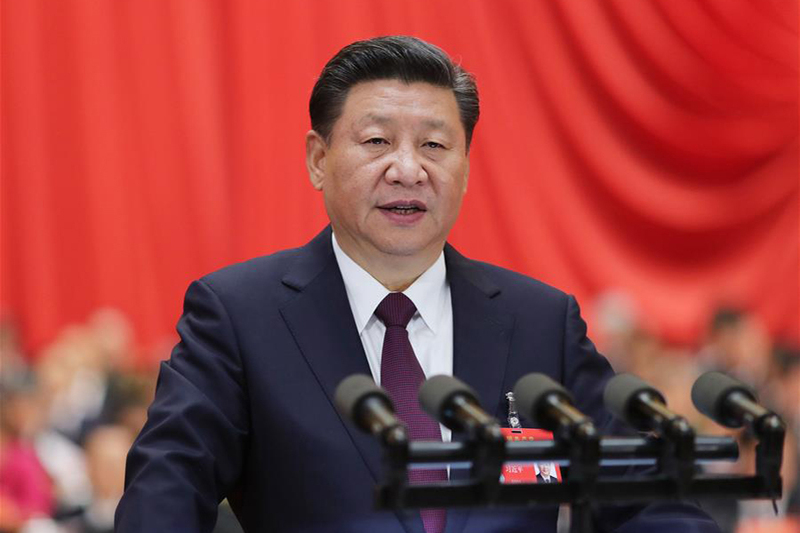 Xi Jinping, general secretary of the CPC Central Committee, Wednesday met with more than 2,700 delegates, specially invited delegates and non-voting participants of the 19th CPC National Congress.